Recently my biggest accomplishment I would say has been my commitment to just showing up everyday even with a lingering injury. There is always something that you can do in the gym, always something you can improve upon. Hurt your ankle? Looks like its an arm day. Hurt your shoulder? Time for some leg work. Most importantly, leave your ego at the door, and know that you’re only competing against yourself. Just trying to get better day by day. Come for the workouts, stay for the friendships. If you come to the gym long enough and consistently enough, you will see the people at the more often than you’ll see your other friends. And in time you’ll find yourself excited to see your friends at the gym every day. Recently, any and all strict movements. Strict Press, Bench Press, Strict Pull Ups. If you’re willing to put in the work and be coachable, you will be shocked at the progress you will see. Come to the gym with an open mind and a willingness to sweat and understand that Rome wasn’t built a day. The coaches are there to help you, and also to push you. So listen to them and put in 100% and you’ll be well on your way. For fun I like to explore different restaurants in the city, going to Cubs games, eating tacos, travel, and binge the latest Netflix show. Ethan is always a friendly & familiar face in the gym. Even when hit with adversity, he continues to push forward when it comes to his goals. 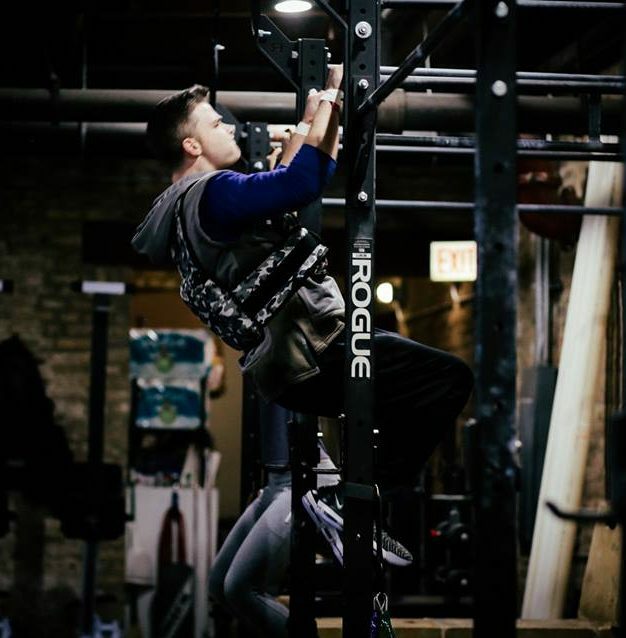 Recent PRs on his Strict Press and hitting a 50# Strict Pull-up are just a few of his accomplishments that are a result of his hard work and consistency. Not only has Ethan been dedicated to his fitness, but he’s also added a big focus on the nutrition side of the health equation to start the year! We are excited to see all his progress continue in the future. When you see Ethan in the gym, make sure to congratulate him on all his hard work and dedication!